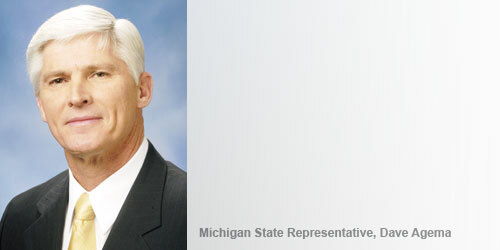 LANSING- A proposed piece of legislation introduced by Grandville Republican Dave Agema is raising alarms in the public health community. Agema has proposed eliminating the Michigan Health Fund Initiative, which is a special Michigan Department of Community Health fund created by law by diverting a small percentage of sales tax revenues into the fund. In a phone interview with Michigan Messenger Agema said the programming funded by the MHFI was funded in other areas of the MDCH budget. The fund currently has about $9 million and is used for HIV prevention, testing and care programs in the state, as well as funding prevention programming for chronic disease such as heart disease and diabetes. In addition, the program funds sexually transmitted disease field support in tracking down patients, research into effective health promotion programming and laboratory services for the City of Detroit Health Department. The funds are distributed to various county health departments, hospitals, churches and other private agencies, including the Michigan Public Health Institute. Agema said he is recommending the shift of money to the Michigan Aeronautics Fund because that will help fund maintenance and expansion projects of Michigan airports. The fund would pay for runway upkeep, building upkeep and expansion of airports to accommodate more shipping and receiving into airports. “This is so we don’t have to raise the fuel tax on our airplanes,” said Agema, a former airline pilot. He said the federal government will give the state nine dollars for every one dollar it puts up for airports. “There’s not a better job creator,” Agema said of the fund shift. Agema also questions the spending of the fund, which shows roughly $5.6 million in administration costs. A spokesperson for the MDCH was not available by press time to comment on the administration costs for the program. Bill Anstey, deputy health officer at the Kent County Health Department, said the funds from the MHFI are used to pay the salaries of the employees of the health department who conduct HIV tests. Those people not only do the tests, but they provide essential risk reduction education and counseling about risk behaviors to clients which helps reduce the risk of infection, Anstey said. Those employees also assist those who test positive in notifying sexual and needle sharing partners that they have been exposed to HIV. The elimination of the funding would lead to the elimination of the positions, making the free and confidential HIV testing conducted at the department less likely to happen. That, he said, could have a huge impact on the epidemic’s growth. The department performs about 3,300 free confidential or anonymous HIV tests a year, Anstey said. With the state already reporting 14,371 cases of HIV confirmed in Michigan, the costs to the state for health care for this group are staggering. A report released by the federal government in 2006 found that the lifetime cost of living with HIV was $618,900 over the course of an average life expectancy of 24.2 years. Those costs break down as follows: 73 percent of the cost is antiretroviral medications, 13 percent inpatient care, 9 percent outpatient care, and 5 percent other HIV-related medications and laboratory costs. Most people with HIV in Michigan qualify for Medicaid coverage or the AIDS Drug Assistance Program. In short, if there are no new HIV infections in Michigan, the state will likely spend nearly $8.9 billion over the life spans of the already 14,371 infected and identified HIV-positive people in the state.